If you want to slash your power bill and become self-sufficient, Territory Solar Solutions has what you need. Our expert team has years of experience setting up off-grid solar power systems all over Darwin. To organise a consultation and quote with our solar specialists, call our team today. At Territory Solar Solutions, we believe your power should be decentralised and renewable. By combining solar panels with battery storage and specialised off-grid inverters, you can generate 100% of your electricity requirements. We deal with a number of suppliers, including SMA, to provide every component required for a fully independent system. That includes monitoring panels so you can have an overview of your electricity generation and usage. 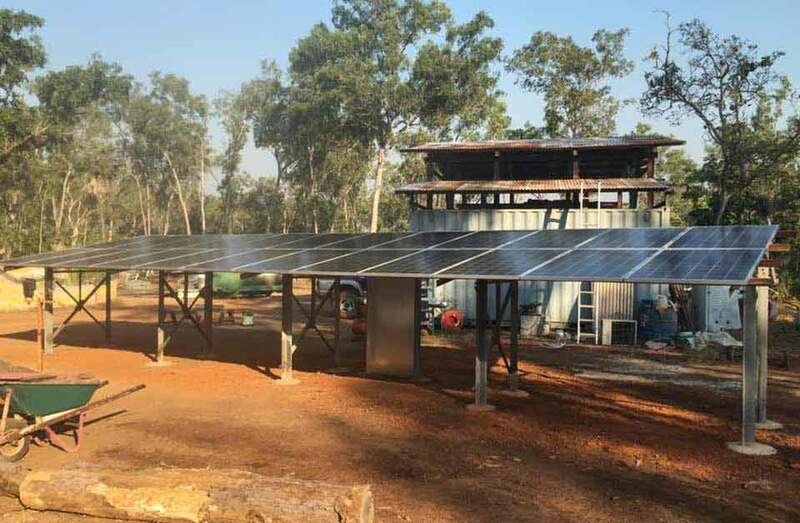 Stand-alone power is the only reliable solution for properties in remote areas of the Top End. Many of these rural properties have limited access to the power grid and experience regular disruptions. With the right setup, you can quickly recoup the installation costs and enjoy a more stable power supply. Off-grid viability varies depending on your location and energy consumption. That’s why we provide comprehensive performance estimates before installation begins. Need some power on the move? Our solar panels can be customised to work on smaller applications, such as boats, heavy machinery and caravans. 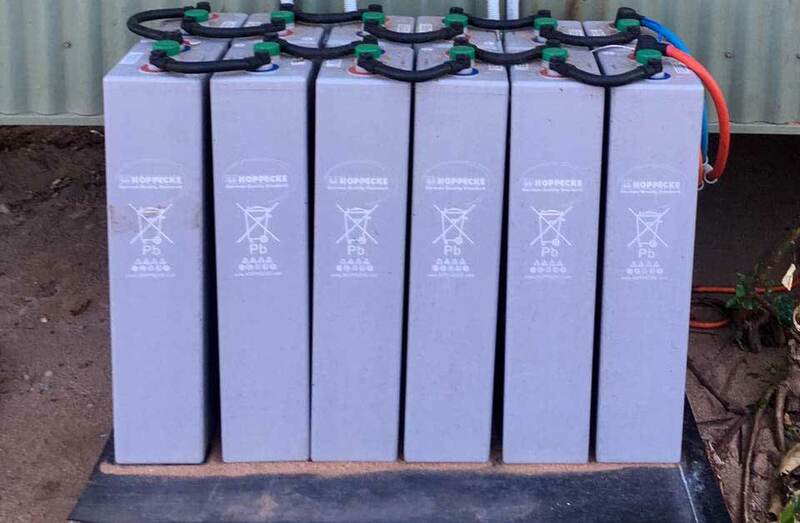 Utilising Selectronic mobile and marine power batteries, we can make your craft able to generate and store its own electricity. These batteries are built tough and incorporate a number of safety features, including a military spec waterproof silicone coating. View our gallery to see some of the unique places we’ve installed self-contained solar systems. 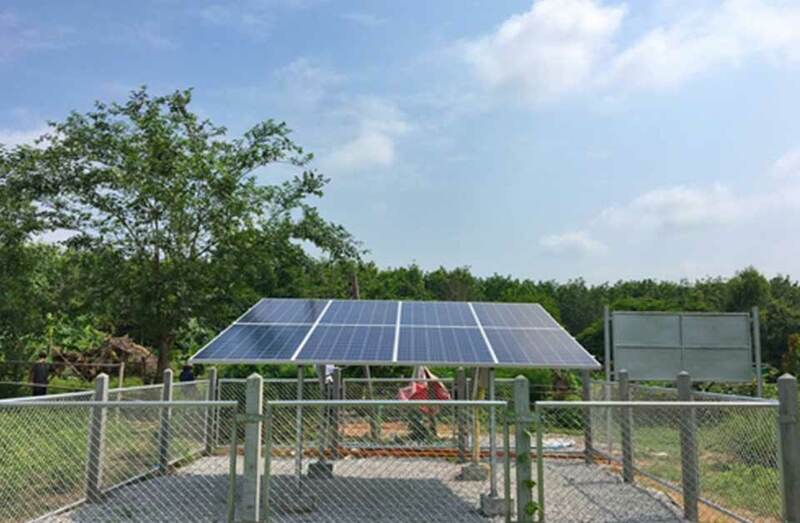 For clients who don’t have a suitable roof or structure to secure the panels to, our team can setup a highly stable ground mounted solar array. With heavy-duty anodised aluminium frames from Clenergy, you can be sure your panels will withstand the harshest environmental conditions. Ground mounted systems are ideal for acreage properties or farms as they can be set up in any flat open area. In theory you can have as many panels you have the space for. Speak to our off-grid solar specialists today to find the renewable energy system that’s right for your property.